This section presents free classified ads for For rent for sale and to buy in Dublin. FREEADS in Ireland is a platform to post efficient advertisements or classifieds in Dublin. We help you find, buy, sell, rent or hire apartments, various goods for sale, local services offerings, cars, jobs and many more in Dublin. If you are not happy with ads you see on this page please use search box above to find other items for sale in category For rent and location Dublin or select another category. We provide 3D interior rendering services which are create by unique designs. We can explain all topics in the depth by PowerPoint presentation. We Have Created a best 3D Interior visualization. Visit For More Information- http://3d-rendering-services.uk/3d-interior-design-cgi-animation. Located in the heart of Dublin, just 10 minutes’ walk from Connolly Train Station, 1 Marlborough Court, The Connemara Girl features self-catering accommodation with free WiFi available throughout. It is 8 minutes’ walk from Trinity College Dublin. . Renting 1 bedroom with furniture included for females only. Located at Spencer Dock which is a 5 minute walk to IFSC and 5/10 minutes to Grand Canal. Room is fully furnished and bathroom is in the hallway.. The location is second to none being just moments walk from public transport, Schools and Shopping facilities. Number 47 has a south facing rear garden and is nestled towards the end of a quiet cul de sac.Behind an attractive red brick facade lies a four bedroom family residence with accommodation spread out over three floors. The apartment is furnished to a high and offers a lot of comfort. The master bedroom has a king size bed (2.0 x 2.0m) and TV. The living room has a comfortable sofa corner with TV and a large dining table. There is also a hobby room with couch and TV, as well as a room that can be used as an office. The spacious kitchen is fully equipped and has a dishwasher; Washer and dryer are of course also available. Furnished Luxury double bedrooms with private Bathrooms available. Second room is occupied by a couple. Available to Move In: Immediately Lease: Minimum 1 Year €950 Monthly Property Description: Stunning 7th floor apartment in the exclusive Grange development enjoying spectacular views across Dublin Bay to Howth Head and back over Dublin City Centre. Clean and spacious furnished Room available for rent at a very nice, adorable two bedroom apartment located in Dublin. Minutes away from Restaurant, University, cafe and Close to public transportation.. Single room for rent for a female working professional only. 3 female's currently in the house. Excellent location 5 minute walk to Phibsborough shopping centre and 20 minute walk to the city centre. Side street parking Rent €425 excluding bills Deposit €200 plus the first month rent up front. Fully completed therapy room for rent in busy area Phibsboro Dublin 7.Close to the City centr.One full day 50 evro.0892077689. house for rent in Finglas West. 3 bedroom middle terrace house. available from 1st December €1350 per month. we will require references. Viewing by appointment only, contact Paul on 085 279 8294. Beautiful, spacious and bright, top floor appartment in Georgian Terrace building..
Great two bed two bath apartment for rent in Cabra, two minute walk to stoneybatter. Underground parking included. Twenty minute walk to Henry street, ten minute walk to Luas. Very safe, secure and quiet apartment with balcony on 4th floor. Available for rent 1st Dec. Professionals only. Will need references. 53.27 m² area *** Modern 2 room apartment, garage, furnished, all inclues Compare relocation costs Balcony / terrace basement fitted kitchen Apartment type floor apartment floor 2 of 4 Living space. 53.27 m² Vacant from from now SCHUFA information Online request SCHUFA information room 2 bathroom 1 Pets are allowed Yes Garage / parking space underground car park Internet Check Internet speed costs cold rent 530 € Compare with local rent index Additional costs no information heating costs included in additional costs Total rent 530 € (plus additional costs) Security deposit 1060 Rent without bail Moving costs Offers free of charge What does this move cost? Building Substance & Energy ID Heating floor heating Available services Internet & telephone Internet and telephone connection More informations Credit comparison Relocation or furniture cheap finance Free credit calculate electricity consumption View the estimate Object description This beautiful 2 bedroom apartment is located in a residential house. single room to rent(box room) in family home. open to have it as a digs monday to friday or full time. close to tallaght hospital, tallaght it and red luas line 2 min walk and 56a and 27 and 27a also 2 min walk. family home but i works shift work not home much and one 7 year in house who stays with granny when i am working. Family House 1 spacious room to Rent Double Bed, Suit Nurse /Student beside Hospital and Blanchardstown Shopping centre rent reasonable no Bills free car parking.Will need references, if you would mind doing some house work and ironing the rent will be very low. A two-bedroom, two-bathroom apartment with utilities included is available for rent in North Wall Quay, Dublin's North Inner City. This fantastic location right by the River Liffey is within walking distance to most of Dublin's main attractions, include bustling Temple Bar, the old city centre, and Grafton street. Comfortable Single room for rent in spacious 3 bedroom home in Kinsealy north Dublin. Sharing with the male owner and one other professional Close to swords and Dublin Airport Excellent transport links to city centre €400.00 per month + bills. Professional person required for large Double room in apartment in citywest. .All mod cons .Very close to all public transport (luas and bus) Also walking distance to citywest shopping centre. There is currently 2 others in the apartment.High speed broadband 120mb. Also cable in the room is optional. I have a large double room to rent in Tallaght with 2 others (both very easygoing, tidy and respectful) and a small affectionate quiet dog. The rent is €650 per month and is very close to public transport and shopping facilities. The house was recently refurbished and is very spacious with lots of storage. Room available to students who we are well used to having to stay for the last 10 years. The house is a 1 minute walk from 16 bus, minutes from 17, 61, 75. 5 minutes 14A, 6 minutes 15B. Dundrum Town Centre 25 minutes walk, St Endas's Park & Malaysia Park 12 minutes away.Newsagents, hairdressers, fishmonger, beauty parlour, pharmacy, doctors surgery, 24 hour shop 1 minute way. 2 Double Bedroom House to rent from Mid August 2 separate livings areas 1 bathtoom with Shower New Kicthen Installed Parking for 2 cars Large Back Garden Fully Furnished Aldi, Centre & Ballyfermot Village in walking distance. Please email if your interested and want to view house. - eallan83@gmail. Rehearsals rooms are available to rent in Creamy Sonic Studios! Dublin city center based, Equipment Storage, and a great community of bands! For viewings, call Tim – 086 376 8631. Spacious, self contained double bedroom apartment with sitting room and big kitchen. Contain: Oven, Washing machine, Drier, Fridge with freezer, microwave. 5 Minutes walk to: Bus stop, luas stop, Huston train station, over 5 Dublin bike stations. 5 Minutes walk to Super Value, 15 Minutes walk to Lidl or Tesco. I am looking to team up with anyone. 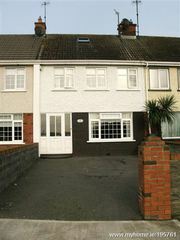 House located off Navan Road from August the 11th.Professionals, long term. Both work and previous landlord references required.. Location: 2 Fitzmaurice Road, Glasnevin, D9 Rent: €280 monthly, per person Deposit: 1 month's rent Bills: Pay as you go electricity - comes up to €20 per person, gas bill comes to €30-40 per person 20 mins to City Centre (by bus), bus stop right outside the house, free broadband speed Wifi, 10 mins walk to DCU, Spar, take away shops and Pharmacy right opposite to the house, 15 mins walk to Tesco and Boots. Ireland free ads for For rent, Dublin, For rent free ads Dublin, For rent for sale Dublin, For rent to buy in Dublin. This page is a classified ads listing for For rent Dublin. This listing includes classifieds for sale and to buy in Dublin. If you posted an advertisement on For rent, Dublin before please use Edit my ads button to change or cancel your ad. For rent Dublin ads Dublin, For rent classifieds Dublin, For rent free ads Dublin, ads for sale Dublin, ads to buy Dublin, FREEADS in Ireland. Find here ads for sale, to buy and rent in Dublin. Goods for sale in Dublin, vehicles for sale in Dublin, Dublin real estate for sale, Dublin property for sale, property for rent in Dublin, business ads in Dublin, Dublin business classifieds, services in Dublin, Dublin services ads, jobs in Dublin, pets for sale in Dublin, Dublin dating, Dublin cars for sale.